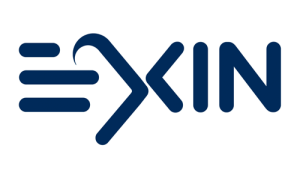 Last month, EXIN was one of the sponsors at the 21st edition of the Pink 17 international IT Service Management Conference & Exhibition in Las Vegas. Our regional managers Tracy Roche and Elizabeth McDonald were present at the exhibition. We also invited Mike Orzen to speak on the subject of Lean IT Leadership and how it is related to Devops and Agile. A core element of both DevOps and Agile is the development of self-governing, cross-functional teams which collaborate on rapid value delivery. However, these teams don’t simply emerge without the careful assembly and coaching of skilled individuals in order to create the right culture, organizational awareness and continuous improvement mindset. In fact, the type of leadership required to build these highly motivated and efficient teams is found specifically within the Lean Leadership model. At the event, Many visitors attended Mike’s practical session where he explored the core elements and behaviors of Lean Leadership. He showed how they are very different from traditional hierarchal western leadership models and explained which Lean leadership practices are essential in developing a DevOps culture. Many thanks Mike, for an excellent presentation!